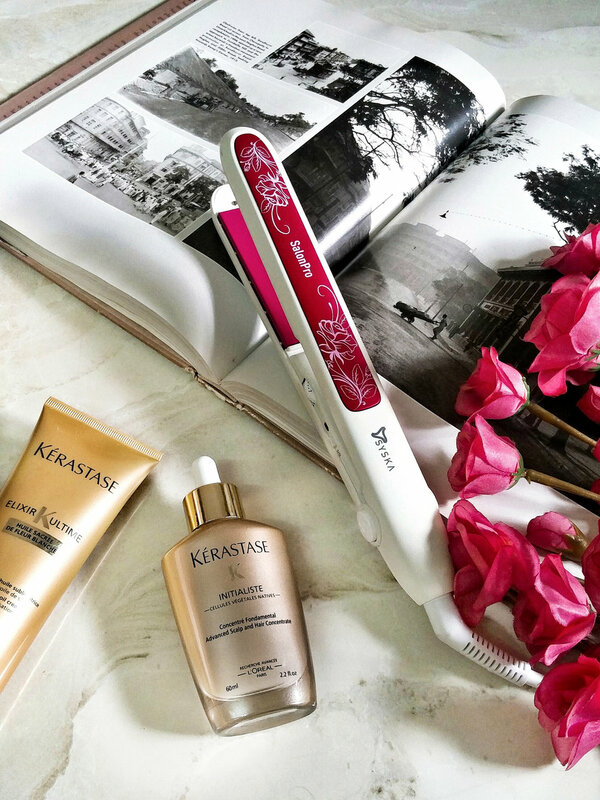 I recently got my hands on the Syska SalonPro hair straightener and decided to test and review it for you. Priced at INR 2399, the straightener is compact enough to pop into your bag for quick fixes when you’re on the go. In terms of looks, it sets the bar high with a sleek white and pink finish on the body and makes no compromises on quality either. It takes barely 30 seconds to heat up completely and its ceramic coated plates protect the hair while making it smoother and shinier. The ceramic plates also help reduce static giving you sleeker looking hair. It uses PTC technology that ensures that the plates are uniformly heated while straightening. What I like most about it is that it has a dial for adjusting the temperature of 120-220 degrees. A lower setting would be ideal for finer hair whereas the higher settings would suit denser, frizzier hair. I’ve got extremely dense and long hair and it took me around 20-25 minutes, once completely air-dried, to work through all of it with the straightener. As you may already know, I prefer poker straight hair with a slight inward curve towards the bottom and hence took smaller sections while straightening to ensure that my hair is as sleek and straight as possible. I’d have liked for the plates to be a bit bigger but if you’ve got short to mid-length hair, this shouldn't be a problem. Once done, my hair looked smooth and shiny and remained that way in spite of the humidity. Overall, I’m quite happy with the results and would recommend it to anyone looking for a good, travel-friendly straightener. It’s available on Amazon here and if you do end up purchasing it, don’t forget to share your experience with me in the comments. You can also follow Syska India on Facebook, Twitter & Instagram to stay updated on product launches and exciting campaigns!